Interested in Television? Like to read opinions, summaries and anything and everything about television? Check out the new CliqueClack TV blog created in the vein of AOL's TV Squad. familiar people, with commentary and content without boundaries. Along with fellow TV Squad writers, former editor of TV Squad, Keith McDuffee, has built CliqueClack TV as a means of providing more opinionated television episode reviews, dedicated columns and overall edgy commentary that's free of corporate influence. ceiling and the floor of this establishment. We are our own boundaries. I still have TV Squad in my list of RSS feeds, but I can tell you that thus far CliqueClack TV is where its at. TV Squad has been severely neutered to the point of unhappinness. I'll be supporting the writers at the new site going forward. 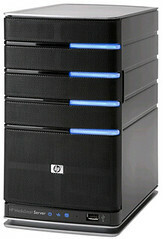 Mike Garcen at the excellent Home Theater PC News Site, MissingRemote.com has a great comparison of Windows Home Server systems. He compares a home brew "frankenstein" build with a Antec P180B chassis vs. a custom built Windows Home Server housed in a Chenbro ES34069 and finally a HP MediaSmart Server EX475. A great five-page write-up worth a read for anyone considering Windows Home Server. Many SageTV users are using Windows Home Server as their operating system since SageTV is the only HTPC software to support it. You read right, Microsoft still doesn't support WHS in Vista Media Center - it doesn't make sense, but it's true. Today I have two deals for you. First up is the Antec Twelve Hundred Computer Case. This is a step up from the Antec 900 case I'm now using for my HTPC server and the 1200 would make a very nice HTPC server case as well. Lots of room for expansion, plenty of airflow and a nice look. Lots of deals have been running for the Vista Media Center's Linksys DMA2100 Extender this past month. Amazon.com has the Linksys DMA2100 extender for $99.99 ($119.99 less $20 instant rebate that shows once you begin check-out). 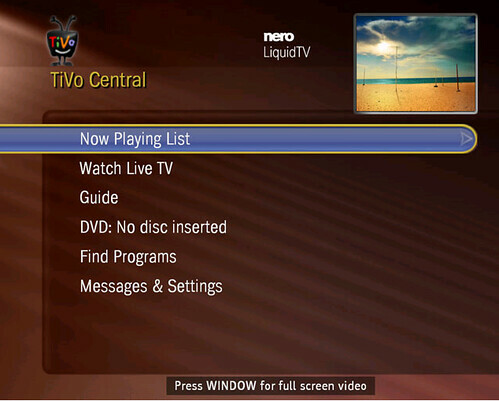 Brad Linder at Download Squad has the scoop on a new MSN News Beta application for Windows Vista Media Center (available today in Windows Vista Home Premium and Ultimate). 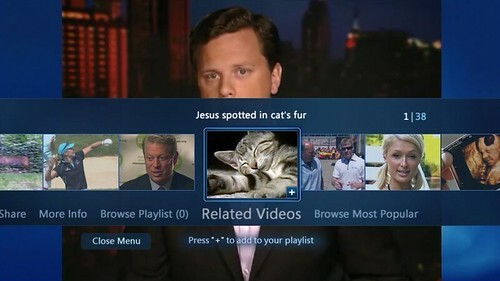 The application lets users browse, search and watch videos from MSNBC News on their Microsoft Media Center Devices. 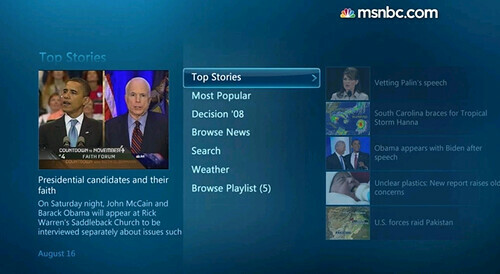 Some MSNBC content has been accessible in the Internet TV Menus, but this new application provides a new user interface that makes it easier to browse stories, weather forecasts and search for videos by topic and related videos. 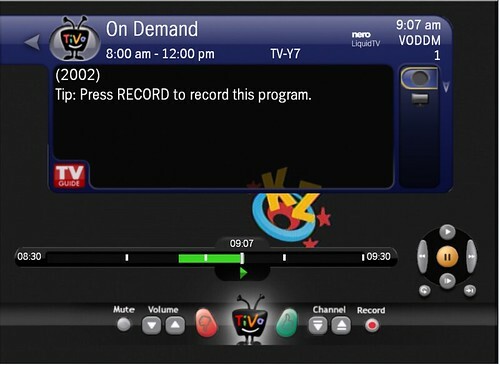 No need to download anything – it’s already there in your VMC TV + Movies menu. For Media Centers (HTPCs and other Media Devices like Extenders) to continue to compete for space by the television, they will need to continue down this road of online video. Network & Cable TV content, Hulu, Netflix Watch Now and others need to be brought into the fold like this MSN News application to compete with the TiVo and other CE devices of the world. Seems like it’s Netflix day around here as I’m on my third story about Netflix, but I picked up a newsworthy tidbit from the Netflix Blog post about their agreement with the Starz channel. The Netflix Blog stated that they will have the long-awaited Apple Mac support for Netflix Watch-Now by the end of this year. That should make many Mac users very happy. After complaining about the lack of good Netflix Watch Now content available, Netflix seems to be really working on adding newer titles to their collection. 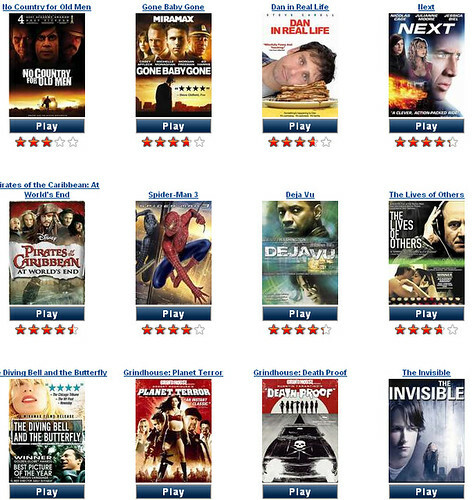 I took a screen-shot from the newly added titles to give you an example, but you can see all the newly available choices here. They'll also have available a sneak preview of "Crash" the new Starz series plus new episodes available on the same day and date of release. Netflix is also offer a Starz Play-only subscription for $7.99 per month - sort of a "premium" subscription level for watch-now only users. While these are obviously not brand-new releases, they definitely raise the bar on quality and freshness. There were certainly some good titles in their collection before, but not much in the way of newer movies so this addition will go a long way in terms of making the service more attractive. A few weeks ago, Netflix also several new CBS, Disney and NBC TV episodes as well. I think Netflix gets it and will continue to work on improving their watch-now collection while maintaining the service as a subscription-based model instead of a pay-per-title model. Today's deal of the day is the popular Logitech Harmony One Remote Control. 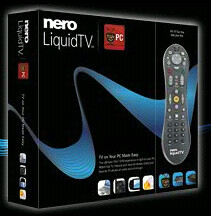 This remote is a little nicer than the Harmony 880 (and more expensive too) and typically runs $250 - $220. Today through October 6th you can get it for $179.99 with free shipping which is a pretty good deal if you're in the market for a higher end remote. 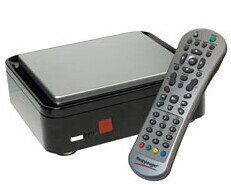 The Harmony One replaces up to 15 remotes and can be used in most home theater environments including with HTPCs. Logitech 915-000035 Infrared Universal Harmony One Advanced Remote $179.99 ($250 - $50 instant rebate - 20 instant coupon) with free shipping use Coupon Code EMCAKDACC at checkout. Expires 10/06. EDIT: Had to update the links - had it linked to the wrong remote control originally. Thanks Andy! Netflix just announced that their Netflix API is ready. You can sign up for a developer account and apply for an API today. This is great news for applications that could use a hook into the Netflix data such as the SageTV Netflix Plugin and the Microsoft Media Center Netflix Plugins available today. WHAT DOES THE NETFLIX API INCLUDE? The API is free for commercial uses as well as free applications. For example, developers could sell an application for the Google Phone or iPhone app store using the Netflix API. Another example would be the use of the API in a built-in feature in a media extender for example. Many APIs available today restrict the commercial use so this is a big plus for Netflix. There is an API Gallery which is currently blank, but will eventually be populated with the many applications that use the Netflix API. I’ve been amazed at what some developers have already done using the Netflix RSS feeds and screen-scraping the Netflix Website so with the API available, look for lots of nice Netflix-centric applications soon. I’m not a big user of closed captioning (subtitles), but I know many use the captions due to hearing problems or even to use in a noisy atmosphere in the home. Word is out that HDMI may not always work with captioning and since HDMI is becoming more and more common on newer HDTV’s this could become a bigger problem – especially when analog television goes away for everyone in February 2009. So when you go to purchase a television, check to be sure the captioning is working while hooked up via the HDMI ports. Better yet, make sure you have component connectors on that TV as well since HDMI is pretty finicky and often causes other problems. For those of you with High Definition TV's, let me know in the comments if your TV gets close captioning and how your TV is connected. I know that in Vista Media Center, CC is supported (in the U.S., not Teletext as is used in Europe), but there is no official support for CC with BeyondTV or SageTV. Read more at Banjo's World. If you’ve been patiently waiting for the surround sound capability on your Hauppauge HD-PVR, your day has arrived. The new driver (in public beta) was officially released today and includes AAC and AC3 surround sound audio. The HD-PVR is a HD video recorded that uses output from your analog, component output and converts the video to a H.264, compressed recording at resolutions up to 1080i. It allows you to record HD right from any video device with a component out port. Combine it with SageTV, BeyondTV (beta) or GB-PVR and MythTV you can time-shift all of that content on your Home Theater PC. What's included in the HD-PVR Driver Update? The default audio stream is AC3 2.0, you have a selection option for AAC or AC3. It will default with 5.1 audio if it is available or 2.0 if not available. Fixes the audio sync problem some SageTV users were experiencing on 1080i recordings on the SageTV HD100 extender. Head over to Hauppauge or SHSPVR now to download the driver update which includes a driver installation program. I'm guessing we'll see it on the Hauppauge Support Page shortly. If you’re a user of the popular photo sharing site Flickr, you may have noticed a fairly significant redesign to your Flickr homepage. The changes almost double the number of photos you see on your home page and give greater weight to the Recent Activity news feed. 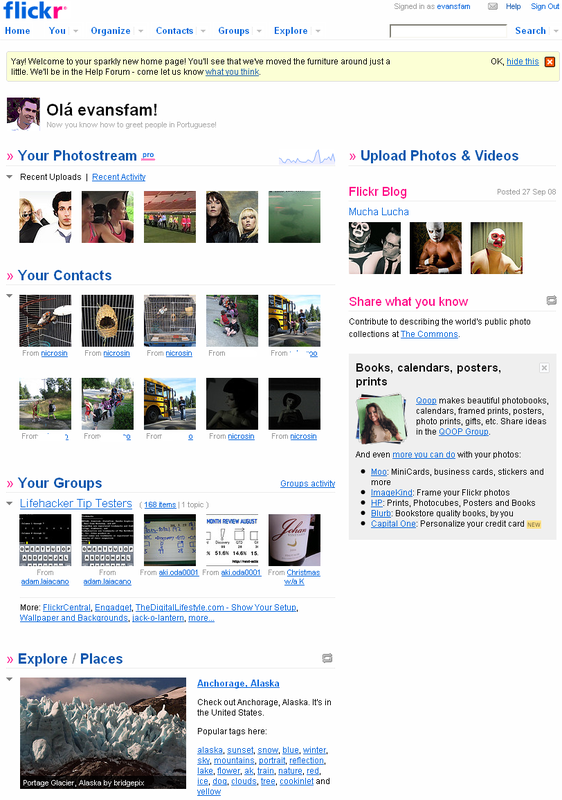 In a few words the redesign makes Flickr a bit more social. 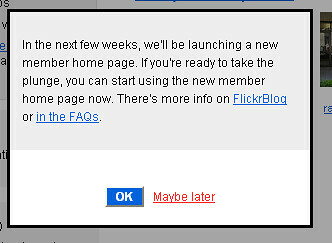 You’ll then see this message which gives you a chance to switch now or wait until later. You’ll notice that the new, more prominent recent activity section now takes up the majority of the top of the page when it’s expanded. You can customize the look of your home page by “muting” comments of specific threads or from specific users. You can also toggle notes, tags and favorites on or off. It’s obviously a move to make the already social photo sharing site more social. I like the new groups section on the home page that shows recent uploads from any of your groups. The one thing users have complained about on the new design is the fact that comments aren’t on the page by default. You can still see those by clicking on the “recent activity” toggle which if you leave it will be the default view until switching back to “recent uploads.” This isn’t a big deal to me, but could be corrected if Flickr made it an option to show both. Another update is a new Explore section at the bottom of the home page. A great way to check out some of the more interesting and quality photos on Flickr. There’s a “refresh” button to update the photos in the explore section – I like that and wish they’d add it to the groups section as well. Doing that brings up the statistics page added this past July that you might have forgotten you had (only available to premium members). All-in-all, I really like the new design – a great update for an already great photo sharing site.